John Cena just can’t stop teasing and toying with our emotions, can he? 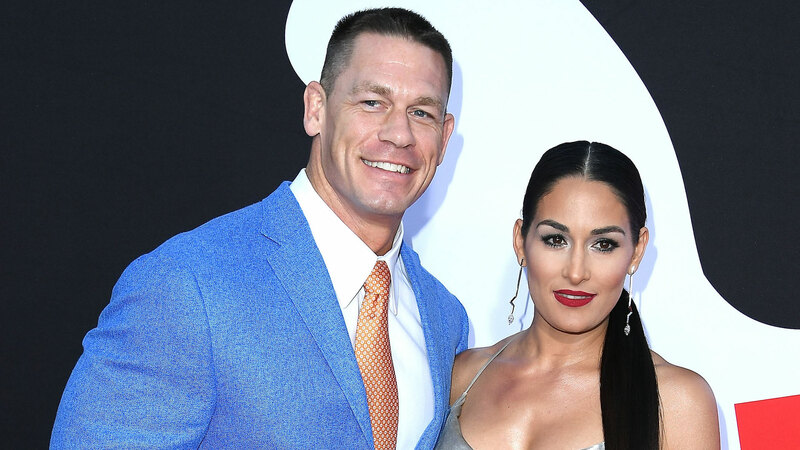 Although he and his former fiancée, Nikki Bella, are still officially split up and have yet to confirm whether they’re getting back together, that has stopped them from dropping hints all over the place about it. They’ve each gone on record at separate times saying that reconciliation is still an option for them and they still have feelings for each other. On Monday, Cena unleashed upon the world a cryptic yet totally interesting tweet that has us wondering whether he’s gearing up to make a reconciliation happen for real. The tweet itself has a nice touch of double entendre to it — “Let’s stop messing around, and start messing around” — but it’s also got the wheels in our brain turning so fast. Is this tweet meant for Bella? Is this Cena basically making his big overture to his former fiancée in front of the world? Is Bella OK with this? You guys, there’s just so much going on here. Cena hasn’t confirmed who the tweet was for (or even if it was meant for a specific someone) or what spurred him on to post it. Despite calling off their engagement back in April, E! News notes that the couple is still reportedly living together in San Diego and that the pair spent Memorial Day together and was spotted getting a bite to eat at Civico 1845 in San Diego. Cena and Bella are processing this in their own way, so until they tell us what the real, true-blue deal is, we’re just going to have to pore over these will-they-or-won’t-they clues they’re leaving for us all over the place.